For lighter applications, check out our disposable polypropylene lab coats and shoe covers with non-skid bottoms. Our shoe covers are great for protecting inspectors from slipping on your kitchen's floor and for covering shoes in places that prohibit outside shoes from coming in contact with floors. From medical facilities to mold removal businesses, these protective coveralls and shoe covers will keep your employees safe and limit their contact with potentially harmful substances. Also make sure to check out other great items from Chef Revival. Protect your staff with polypropylene clothing like shoe covers, coveralls with hoods, and lab coats. These items are lightweight and prevent clothing and skin from coming into contact with mold, asbestos, dust, or debris. Simply throw them away when you're done for easy cleanup, too! We carry protective coveralls in many sizes, so you can accommodate any member of your team. For more safety clothing, see our heavy-duty gloves, respirators, and heat and cut resistant gloves. 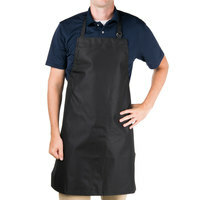 If you're wondering where to buy chef revival protective clothing, we have a large selection of chef revival protective clothing for sale at the lowest prices.